Herman Barker born 1911, age 96 in this photo. Editor’s Note: This is a guest post written by Janine Lucas, copywriter and blogger. See that handsome guy in the photo on the right? That’s my great grandfather, Herman Barker. He was only 18 when the Great Depression hit, but at the time he barely noticed it was happening. He had dropped out of middle school at age 11 and spent all of his teenage years working full-time to support his family. For him, times were always hard—the Great Depression didn’t feel any different. Fast forward nearly a century later and it was always a treat to visit grandpa. 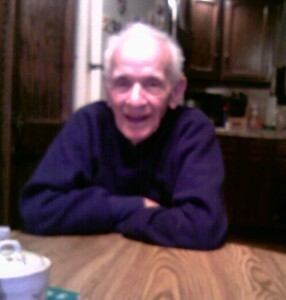 He was a scrappy guy with a great laugh and he had one of the best attitudes you could ever imagine. We’d spend hours listening to him tell us what it was like to grow up during his era. The tales he told revealed a side of history you’ll never find in a textbook and each one was absolutely priceless. With Thanksgiving approaching this week, we’re thinking about family and getting a little nostalgic. Holiday time is about sharing food, love, and memories. 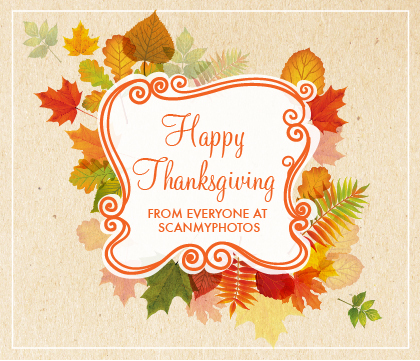 At ScanMyPhotos.com, we want to help you share the love and preserve a lifetime of photo memories, so we’re offering our first-ever mega sale starting today! With this sale, you’ll pay as little as $72.50 to digitize about 1,800 standard photos to DVD. This includes free three-way shipping and handling, and all add-on featured services. That’s about $.04 to scan each photo with free shipping and handling. Must order a minimum of $350 to save 50%! ***MUST FIRST SEE THE BOTTOM FINE PRINT IN THIS EMAIL AND DETAILS TO LEARN MORE. before 3:00 P.M. PST today and your prepaid fill-the-box order will be shipped out the same business day. And remember, this is a flash sale and will expire without notice-place your order now! 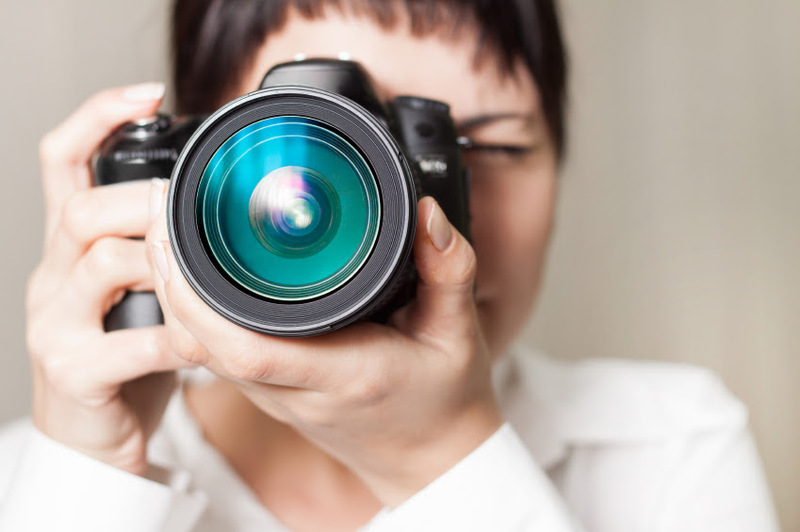 Photography TipSimple surfaces with a matte texture, like wood tables and marble countertops, will help your food stand out. A shiny surface, like a glass or lacquered table top, will distract from the food and compete for attention. 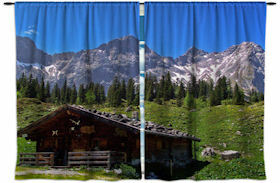 How to use your scanned photosWhether it’s a photo of your family or a gorgeous picture you snagged on your vacation abroad, you can use your photos to create unique window curtains. 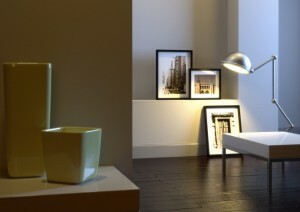 8 Unique Products to Try for Decorating Your Home with PhotosWho doesn’t love to be surrounded by happy memories? Each time we see one of these pictures, we’re instantly reminded of the good times. It’s no wonder we like to decorate our homes with photos! 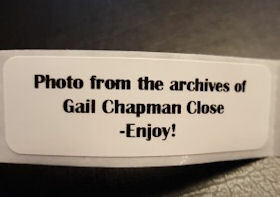 Surprise Photo Deliveries Delight ScanMyPhotos Customer’s Friends and Loved OnesIf you happen to receive an envelope with an address label that says “Photo from the archives of Gail Chapman Close-enjoy!” then you, my friend, are in for a treat. 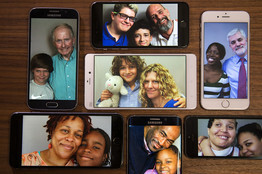 A smartphone app from StoryCorps can bridge generations by turning anyone into a documentarian. QUESTIONS?Any questions, please email us or use our live support help desk. You are the center of our attention and we are eager to help complete your photo scanning project. ONLINE SPECIALSCLICK HERE TO LEARN OUT LATEST ONLINE SPECIALS! 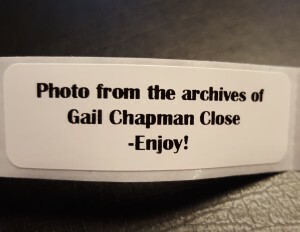 If you happen to receive an envelope with an address label that says “Photo from the archives of Gail Chapman Close—enjoy!” then you, my friend, are in for a treat. ScanMyPhotos customer Gail has created quite the project for herself over the last few years, and her friends and loved ones are reaping the benefits. Gail has just sent us her tenth box of photos to be scanned. She’s been hard at work archiving and indexing the printed photos taken of her family and kids. Every hero has their story. Some stories are good, some are bad, others are tragic, but every story needs to be told and heard—especially the stories of our veterans. For Veterans Day 2015, we found remarkable stories of the brave men and women who served and protected our country. 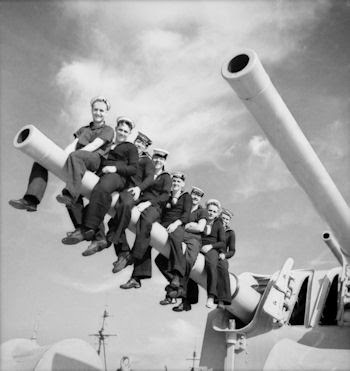 Check out these stories and the vintage photos accompanying them, and remember to thank the veterans who have worked hard to keep our freedom free. A missing military ID becomes a blessing in disguise for Doris Merrill who began her military career serving as a transcriptionist in Cape May. You’ll find a beautiful vintage 1945 photo of Doris and her husband within the article. On Veteran’s Day and every day, we’d like to take this time to thank all veterans for their service. Our country’s foundation was built on the shoulders of the strong men and woman who have served and worked hard to keep our freedom free. 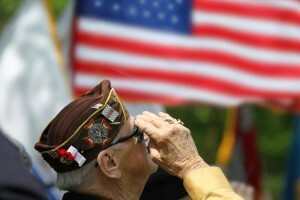 We’d also like to encourage everyone to preserve the legacy of the veterans in their lives. We love seeing our customers’ photos of parents or grandparents in uniform. These are treasured pictures, let’s continue to keep them safe. 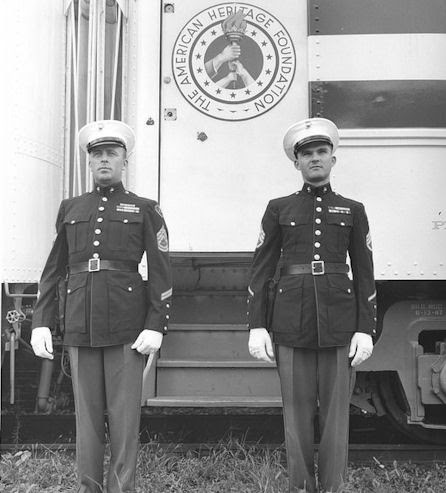 Two Marines standing guard on the Freedom Train circa 1948 Have a great vintage shot you’d like to see featured here? Share it with us on Facebook! Snow scenes are full of bright white color. Your camera will see this and will try to turn all the pure white into grey, leaving the resulting photo looking like a portrait of dirty snow. So, you have to trick your camera in order to take an accurate image of the snowy scene. Sink into some cozy memories! Use scanned photos to create custom pillows that will look great in any room. In an era where technology enables us to take 30 selfies in a row just to post the best one, there’s something refreshing about vintage photography. An old photo captured in a spontaneous, unfiltered moment can feel magical-it’s the past coming back to life.